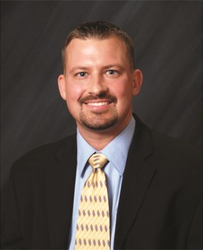 Patric Farrell is the owner of a branch of Goosehead Insurance located in Denton, TX. Patric and his experienced team help clients throughout the entire state of Texas find a policy that fits their budget without sacrificing the coverages that they need. Patric and his wife Rayanna, along with children, Dennon, Dayton, and Brooklyn make their home in north Texas. He has been in the insurance business for over 17 years and understands the challenges that people face when choosing policies that fit their family best. Outside of work Patric and his wife enjoy coaching and watching Dennon and Dayton play football, baseball, and basketball and watching Brooklyn's ballet. If you are in need of new insurance or have questions about your insurance in general please reach out. We will be glad to help!